The 2018 Edition of Monopoly is Back at McDonald’s Canada! 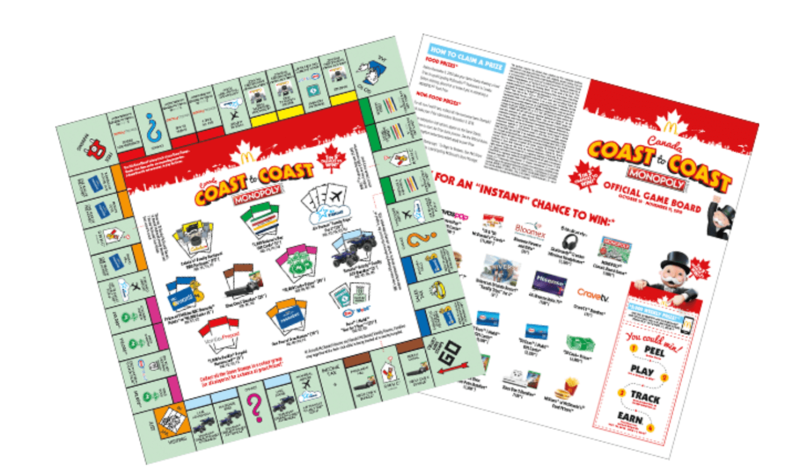 McDonald’s Canada Coast to Coast Monopoly 2018 is back! Redeem an Offer or use Mobile Ordering on the My McD’s App for a chance to WIN many prizes including a $5,000 weekly price. Use the My McD’s® App and redeem an Offer from today until November 11 2018 to be entered for weekly drawings. Thanks for the contest site link. I have yet to get a game card but I intend to forward game pieces found to an acquaintance. I’ve been spotting so many takeout bags promoting the contest since the weekend. Surprised that someone has already claimed a big screen tv on day 1!